The iashley 1200 combines the latest in sleep technology, world class support and luxurious upholstery all at a price that won't keep you awake at night with it's 12" profile. 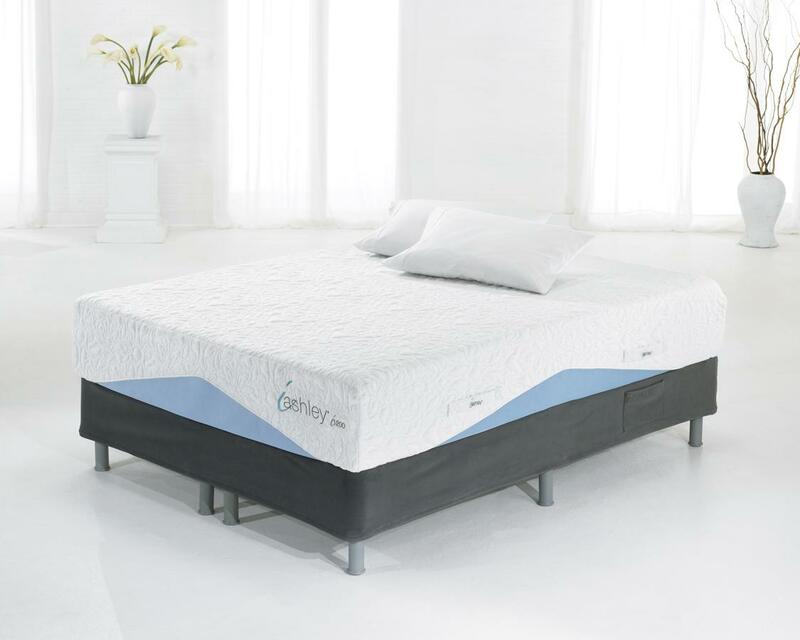 The iAshley 1200 mattress brings together the supportive comfort of ventilated memory foam with the cooling effect of gel. It has mesh borders for faster memory foam recovery. Handles on both sides of the mattress. One-sided design, no flipping or rotating. Mattress packaged in a box with compression technology.